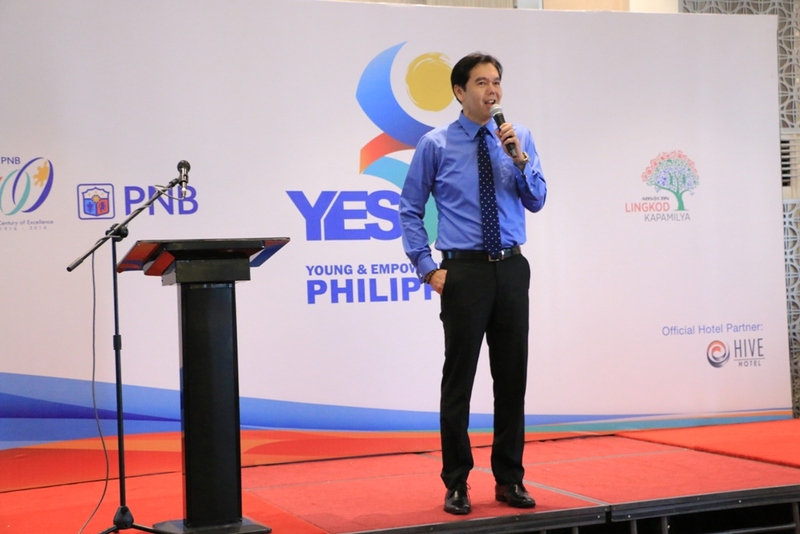 40 student leaders from different parts of the country, together with 42 teachers, and 24 branch managers from Philippine National Bank, joined a three-day financial literacy training headed by PNB and ABS-CBN Lingkod Kapamilya Foundation, Inc. as the Young and Empowered Students of the Philippines (YES PH) Campaign officially opened. Housed at Hive Hotel in Quezon City for three days, participants were able to learn different tips and strategies on how to save and more importantly on how to invest as they underwent various leadership workshops and financial responsibility trainings from subject matter experts. Christina Jerome “Bobit” Dobles, Head of PNB CSR Committee orients participants on what to expect for the summit. During the first day, aside from orientation and a discussion with Bangko Sentral ng Pilipinas, attendees had a special trip to Philippine Stock Exchange to know more on how stock exchange works and how it influences investment choices. The last two days were all about trainings and discussion about the campaign. Participating leaders and teachers have a specially designed ATM card with an opening amount worth 1,000.00 Pesos. The second phase of the Campaign will be a competition between schools with the students regularly saving on their PNB accounts. The competition will commence with an awarding ceremony. Three winners will be chosen: the school with the most number of newly opened accounts; the student from the winning school who has the biggest savings; and the student among all the participating schools who has the biggest deposit during the competition period.